How long will America continue to allow Pakistan to undermine its overseas antiterrorism efforts? “Twenty U.S.-designated terrorist organizations operate in the Afghanistan-Pakistan subregion; seven of the twenty organizations are in Pakistan. So long as these groups maintain safe haven inside of Pakistan they will threaten long-term stability in Afghanistan. Of particular concern to us is the Haqqani Network (HQN), which poses the greatest threat to coalition forces operating in Afghanistan,” Gen. Joseph Votel said in his March 2017 posture statement before the Senate Armed Services Committee. Turkey’s new third generation+ main battle tank has passed all acceptance tests, a Turkish defense contractor claims. Turkey’s first indigenously-designed, third generation+ main battle tank (MBT), designated Altay, has passed all acceptance tests and is now ready for serial production, Turkish military vehicles manufacturer Otokar, a branch of the Koç Group, the country’s top industrial conglomerate, claims in a March statement. “Altay … has now completed the tough qualification testing stage, including mobility and endurance testing on rough terrain and climatic conditions, firing tests with various scenarios and survivability testing,” the Otokar press release stated as quoted by Defense News. Despite the successful acceptance tests, Otokar has so far not scored a serial production contract. Indeed, two other tank makers are reportedly competing for a multi-billion dollar contract to produce up to 1,000 tanks for the Turkish Army. The Altay project hit a snag earlier in the year after Turkish engine maker Tümosan cancelled an agreement with the Austrian firm, AVL List, for technical support in designing an indigenous engine for the MBT. “Due to the adoption by the Austrian government [of measures] to insist on export licenses that include conditions that interfere in Turkey’s domestic politics … the contract as recorded and revenue guarantee given by the company will be cancelled,” Tümosan announced in a January 2017 statement, IHS Jane’s Defense Weekly reported. In recent years, a debate over India’s nuclear doctrine – how and when it plans to use nuclear weapons – has rekindled. The issue was raised in the BJP’s 2014 manifesto, then by a couple of former heads of India’s Strategic Forces Command (SFC), and most recently by former defence minister Manohar Parrikar, all of whom urged changes to one or other aspect of India’s last published doctrine of 2003. In past weeks, attention has turned to former National Security Advisor Shivshankar Menon’s book Choices, which points to two important changes. One, which I discussed in a review of Menon’s book in India Today in December, is that India 'might find it useful to strike first' if, for instance, 'an adversary's launch was imminent'. Were Indian doctrine to embrace this possibility of pre-emption, it would mark the end of the country’s ‘no first use’ (NFU) pledge. But Menon’s second point, highlighted by MIT professor Vipin Narang in recent days, is even more important. India’s longest road tunnel stretching 9.28 km is being inaugurated by Prime Minister Narendra Modi today (2 April 2017). The tunnel is a huge achievement for not just the National Highways Authority of India (NHAI) and the Ministry of Road Transport and Highways (MoRTH), but also for the private sector that has been instrumental in projects of such scale. The Chenani-Nashri tunnel, also known as the Patnitop tunnel, is set to change a lot in how different regions of India are connected across various terrains. How Does One Tunnel Change Anything? Transport projects have always focused on changing how the goods and shipment sector operates, and formed the basis of the National Highways Development Project (NHDP) as well as subsequent projects such as the Sagarmala project. Any system that offers better quality movement of goods and people across a region will always spur development of the various sectors around it. As I had written earlier, the Ro-Ro network along the Konkan Railway line enabled goods to be transported in nearly half the time, at a fraction of the cost, the reason being a relatively straight railway track that would allow better speeds. In my line of work, I have had to read many memoirs by retired administrators and diplomats. Most are marked by dull prose, an inability to distinguish between the ephemeral and the lasting, a refusal to acknowledge mistakes or errors, and pomposity. A book that had none of these traits was the late Y.D. Gundevia's Outside the Archives, a memoir refreshing for its candour, its self-deprecatory wit, and its rich, often profound, understanding of politics and diplomacy. Now comes Shivshankar Menon's Choices, not a memoir strictly speaking, but an analysis from ringside of five foreign-policy dilemmas that India has faced in recent decades. Like Gundevia, Menon also served as foreign secretary; like him, he has written a book that, in the subtlety of its analysis and the stylishness of its prose, stands out from the usual run of mandarins' memoirs in India. 'If only the Minister had listened to me' is a common refrain of many official memoirs; so is the desire to grab credit for positive outcomes that may have come from the official's time in service. Menon, however, is extremely generous towards his peers and colleagues, often praising the work done by other Indian diplomats and negotiators. India is undergoing a major transformation. It is silent, and at the grassroots. In an earlier article I had said that Prime Minister Narendra Modi’s mission was not limited to mere reform. Reform is important. But Modi is on a higher trajectory. His vision is of total transformation. Thirty months down the line, every perceptive person notices its signs. Ten years ago it was nearly impossible to think of a yogi in saffron robes as the chief minister of India’s most populous state. It was unimaginable that overnight currency bills would be withdrawn forcing people to spend long hours in unending queues in front of banks, and yet they would steadfastly support demonetisation. Ten years ago nobody would have believed that an unpopular decision that puts people through hardship can become the most popular move that the very same people will applaud. No leader of any government would have attempted, much less succeeded, in taking back a subsidy that was given to the people in the form of LPG gas cylinders. The transformation that we witness is unprecedented. The spirit of the Independence movement seems to have returned after seven decades. People are ready to sacrifice for the larger good; ready to undertake the unfinished agenda of our Independence; ready to set new standards in public life; and ready to create a popular movement that gradually allows governments to shrink and real power to shift to the people. The Strategy document has merely reiterated the 2012 decision of the Chinese Communist Party (CPC) that becoming a maritime power was essential for China to achieve its national goals and aspirations, and to attain its rightful position in the world order. China’s pursuit of maritime power has received an impetus from the substantive growth of its overseas economic and security interests, as well as from its long-standing claim on Taiwan and new territorial disputes in the East and South China Seas. Ever since Xi Jinping designated the maritime domain as an essential building block of his ‘China Dream’, the CPC has brought sharp focus on it, and overseen the systematic build-up in each element of national maritime power. Today, China is the world leader in ship-building, and its 5000-ship strong merchant marine ranks No.1 in the world. It also owns the largest number of coast guard vessels that protect the world’s biggest fishing fleet. Chinese shipyards are rapidly adding to its fleet of modern destroyers, frigates, diesel submarines and logistic support vessels. Its force of homebuilt nuclear submarines has been operationally deployed and its first aircraft carrier is at sea, with more on the way. In a few years the PLA Navy (PLAN) will be second only to the US Navy in capability. 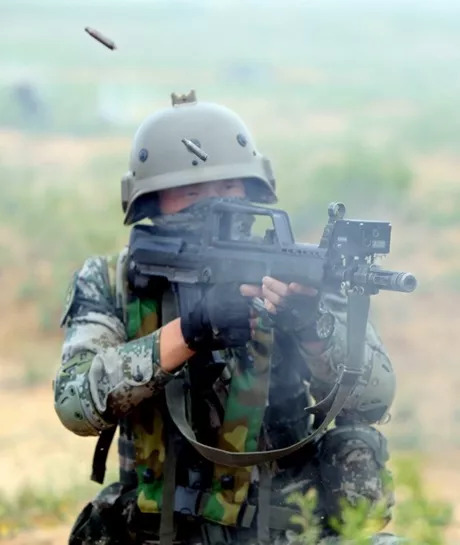 In the summer of 2016, the PLA completed the most recent round of its “Stride” (跨区) exercises, a series of large-scale military training exercises that prominently feature simulated opposing force confrontations. Militaries and other national security actors have for decades utilized “red teams” to improve training and operations. Red teams provide a dynamic adversary and present the blue or “home” team with a more challenging and realistic training exercise. Sometimes red teams may even be tasked with mimicking a specific country or military unit. In the U.S. and other Western countries, the “Red” force typically represents the adversary, but in China, the designations are reversed, with “Red” units representing the PLA and “Blue” units representing the opposing force. Red-Blue exercises are valuable opportunities to evaluate a military’s capabilities, enhance the difficulty and realism of training exercises, and to prepare for future conflicts against a specific adversary. According to one account, “Using a fierce Blue Force in this manner in exercises, in one aspect imagines the functional requirements of enemy units and in another aspect also confirms that the actual combat level of our army continuously increases year by year. Whether the Blue Force is strong or weak, in one aspect simulates the real situation of potential opponents and in another aspect also establishes the current level of capabilities of the Red Force” (China Youth Daily, July 24, 2015). The growing distrust between China and the U.S. will be on full display next week as President Xi Jinping arrives at Mar-a-Lago in Florida for meetings with President Donald Trump. 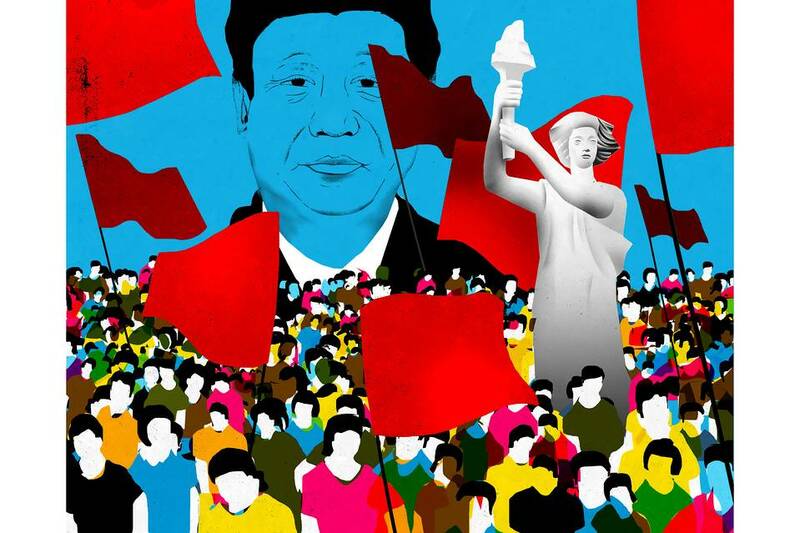 The tension isn’t just a result of Mr. Xi’s policies—a fierce crackdown on dissent, militarization of the South China Sea, intensifying protectionism. Nor is it just a matter of Mr. Trump’s combative campaign rhetoric against China and his early embrace of Taiwan. For many longtime American observers of the relationship, the worries run deeper and have to do with disappointed expectations about China’s political development. Richard Nixon and Henry Kissinger made their milestone trip to see Mao Zedong and Zhou Enlai almost a half-century ago. By the time Deng Xiaoping arrived in the U.S. in 1979 to normalize U.S.-China relations, the feeling of optimism was palpable. American apostles of engagement looked to a brighter future for China after its long Maoist seizure. Their hope was that trade, cultural collaboration and educational exchanges would coax the great country back to a path more convergent with liberal values and American interests. Andrew Bacevich’s America’s War for the Greater Middle East: A Military Historypresents a scathing critique of Washington’s policies in the Middle East. Read this one to know how the American foreign policy establishment comes together to construct one blunder after another. Bacevich, Andrew. America's War for the Greater Middle East: A Military History. New York: Random House, 2016. 480 pp. America can always be counted upon to do the right thing, to paraphrase Israeli diplomat Abba Eban, once they have exhausted all other possibilities. In the Middle East, then, the United States has shown extraordinary creativity – for four decades now, it has bungled its way through the region with devastating cost to the locals yet with little to show by way of securing its own interests. Andrew Bacevich's America's War for the Greater Middle East: A Military History presents a scathing critique of Washington's policies in the Arab world that have escalated in intensity over the years only to worsen the situation. America's War traces the beginning of Washington's downward spiral in the (Greater) Middle East to the oil shock in the aftermath of the Yom Kippur War in 1973. A scarcity of petroleum, to the most automobile-obsessed culture in the world, was nothing less than an assault on its core value of conspicuous consumption. Much like the British Empire was built in a fit of absent-mindedness to protect the Crown's Indian possessions, it was the United States' quest for energy security that drove it deeper into a West Asian quagmire. This was not a simple case of an imperial presidency but the idea that the United States should be more involved in the Middle East – with boots on the ground, if need be – received widespread support from the media, think tanks, as well as legislators. As the author makes clear, this was a war of choice – there was no clear and present danger to the sovereignty or integrity of the US or its allies. Is OPEC Losing Its Ability To Influence Oil Prices? The Organization for Petroleum Exporting Countries (OPEC) has exerted a great deal of control over world-wide oil production and prices since 1960.1 The figure below shows the percentage of oil production by country for 2015. 10:00 a.m. EDT - Olga Oliker, Senior Adviser and Director, Russia and Eurasia Program, testifies before the Senate Armed Services Committee on "Russian Influence and Unconventional Warfare Operations in the ‘Grey Zone:’ Lessons from Ukraine." Download Testimony Watch live testimony here. Moscow carried out a digital campaign to disrupt our democracy, but did not change vote counts. That's a key distinction because the US needs to accurately identify weaknesses to sharpen national cyberdefenses. MARCH 1, 2017 —Words matter. Cybersecurity is a complicated topic and it touches every aspect of our lives – from national security, to business transactions, to personal information and communications. How we discuss the issues, how we formulate policies, what social norms we embrace, what regulations we enact will change how we interact with the waves of technology innovation coming at us today and in the future. As complicated as the issues seem today, the challenges will only increase with fleets of self-driving vehicles, drones, blockchain, quantum computing, virtual reality, and augmented reality. Layer on top of that the fact that deterrence based upon the full spectrum of American power – informational, economic, diplomatic, military – does not extend credibly to the cyberdomain, and we are in unchartered territory. Europe is feeling a bit abandoned these days. Used to regular reassurances from Washington on its commitment to transatlantic security, European leaders are now shifting their defense strategies in response to mixed signals from President Donald Trump on the United States’ role in NATO. Even Secretary of Defense James Mattis has come down hard on the alliance, demanding that Europe “show its support for our common defense” or else Washington would alter the nature of their partnership. Worried Europeans, however, may be slightly comforted by U.S. Secretary of State Rex Tillerson’s decision to attend a NATO foreign ministers’ meeting on March 31, after originally planning to miss the gathering. Fear that the United States might not live up to its promises, especially to the alliance’s eastern members, has led to a modest uptick in European conventional military outlays, which rose 0.5 percent in 2015 and 3.8 percent in 2016 year in real terms. This is not enough to transform the balance of power, but it is a notable shift. Growing alarm that Europe might end up on its own against Russia has also led to the previously unmentionable idea of developing Europe-wide nuclear deterrence. Moscow’s 2014 annexation of Crimea from Ukraine and its support for separatists in the Donbass have reminded NATO’s old Europe members that the organization is a military alliance, not an international social club. When NATO extended membership to the Baltic states, few policymakers believed the alliance’s Article 5 promise of mutual security would one day be invoked. Today, they are wondering how they would defend the vulnerable countries without the United States. A nuclear weapons ban, whilst probably a noble and humanitarian goal, reflects misplaced idealism and an under-appreciation of fundamental strategic issues and concepts. A nuclear weapons ban addresses symptoms of a problem, not the underlying problems themselves. This is not to say that a ban would not help alleviate states’ security concerns. It may well, but it is seriously misguided to think that nuclear issues can be tackled separately and independently from broader military issues and conventional force imbalances. The close-quarter fighting between Iraqi forces and militants using human shields and booby-trapped houses to slow their advance is making it harder to avoid endangering more civilians, a top U.S. military commander said Wednesday. “I believe that as we move into these urban environments, it is going to become more and more difficult to apply an extraordinarily high standard” for preventing civilian casualties, “but we will try,” head of the U.S. Central Command, Gen. Joseph Votel, told members of the U.S. House Armed Services Committee. But Votel stressed that the basic rules of engagement for U.S. airstrikes has not changed in recent weeks, and American forces always try and avoid civilian casualties. 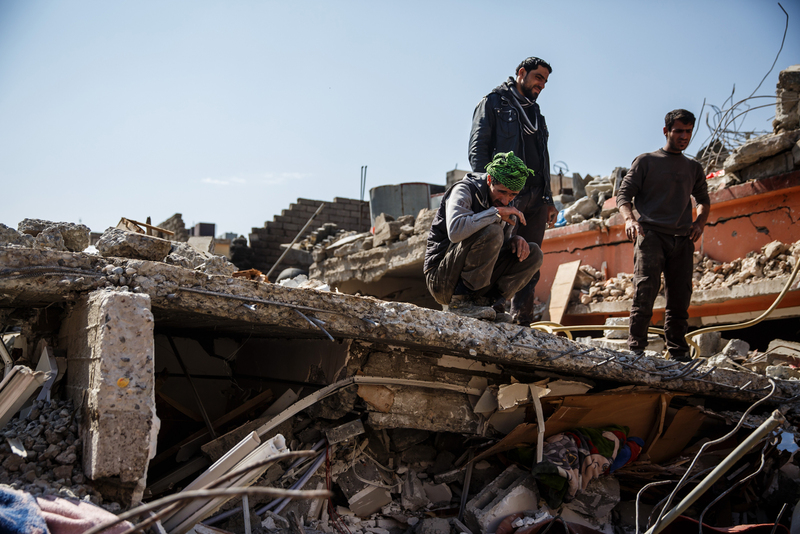 U.S.-trained Iraqi forces — often in touch with American advisors nearby — are calling for air support every day inside Mosul, and American and and coalition aircraft are hitting dozens of targets a day. Given relatively new rules that allow U.S. commanders to approve strikes more quickly than they had in the past, the numbers of bombs falling are hitting record highs for the 31-month U.S.-led air campaign. But it is risky. The U.S. needs to be planning now how it will respond. Russia has been the subject of much American press speculation this spring, as questions and suspicions swirl regarding its involvement in alleged hacks during the U.S. presidential election. While the details of these specific attacks remain unclear, what is clear is the danger posed by the superpower’s well-established hacking prowess. The question is not if Russia will conduct another major cyberattack on the U.S., but when. As such, America needs to be planning now how it will respond. In 2015, cyberthreat firm FireEye alleged Russian nexus-hackers had caused power and energy outages across Ukraine, impacting thousands of citizens. No other country has been so publicly accused of conducting a cyber-to-conventional attack (a cyberattack with visible, physical consequences). Russia leadership has also publicly prioritized its information warfare and cyberweapons. “Information is now a species of weapon,” wrote Russian major general Ivan Vorobvev in 2013. As proven by the alleged hacking activities this U.S. presidential election, the fear of information warfare is very real. However, the US must also remain vigilant about cyber-to-conventional attacks; many of our critical infrastructure networks are littered with vulnerabilities, and consumer technology is moving more and more citizens into the line of battle. Allegations of cyber-incidents, IP theft, and cyber-attack have significant tangible results and seismic geopolitical implications. Most compromised organizations do not detect breaches until eight months after the initial incident; consequently, typical attribution is based on the scraps of evidence that the adversary intentionally (as a diversion or demonstration of skill) decided or carelessly left behind. Because sophisticated attack kits are increasingly accessible and available to less sophisticated attackers, it is increasingly more difficult to retroactively distinguish one attacker from another. Competing vendors complicate attribution efforts by foregoing a systemic nomenclature and by storing information away into silos, where its relevance fades in the weeks or months necessary to develop “unique” content. Faux experts and the ill-informed attempt to garner credibility by rapidly attributing every cyber-attack to whichever Chinese or Russian advanced persistent threat (APT) group dominates the spotlight at that moment. They fail to realize that accurate attribution depends on reliable analysis of the indicators of compromise (IoCs); the adversarial tools, techniques, and procedures (TTP) utilized; and on a holistic attacker profile generated from the systematic aggregation of past adversary behavior, target demographics, unique operational procedures, and many, many other characteristics. Noelle Acheson is a 10-year veteran of company analysis, corporate finance and fund management, and a member of CoinDesk's product team. With technology empowering non-traditional actors who create asymmetric threats, there are real questions as to how the Department of Defense (DOD) can best ensure security and preserve privacy. For many years, DOD has worked to attract top technologists from Silicon Valley. I was part of one White House initiative called the Presidential Innovation Fellows, where technologists and venture capitalists go to Washington for six- to twelve-month tours of duty, working with chief technology officers at various agencies. But in 2015, then-Secretary of Defense Ashton Carter flipped the model on its head and moved part of the defense community out of Northern Virginia, three thousand miles west to Silicon Valley. He helped create the Defense Innovation Unit Experimental (DIUx). In Silicon Valley, venture capitalist Marc Andreessen has for many years talked about how “software is eating the world.” He argues that technology has come to affect every corner of our world. In moving elements of DOD west and embracing the technology community in its own environment, DIUx has been a catalyst in bringing some of the most profound, intractable problems to a valley full of people looking to chase big ideas. One of the most promising results of this westward push has been the establishment of a class called Hacking 4 Defense (H4D) at Stanford University, brought to life by two U.S. Army Colonels, Joe Felter and Pete Newell. Felter and Newell help translate the experiences and needs of the defense community to Silicon Valley. Having also recruited professor and serial entrepreneur Steve Blank to develop the H4D course, today the trio helps teach an entrepreneurship course aimed at solving some of the biggest problems from DOD. A successful cyberattack on computer systems that control the U.S. electric grid could cause a long-term blackout and disrupt critical services in the government and private sector, such as the water operations and food supply. Not to mention the local economy would likely shut down, causing people to evacuate in large numbers. Federal and state governments must work together to prevent and respond if a successful cyber attack were to occur, and they must communicate, share information and be aware of the cyber capabilities of each level of government to do so. In 2016, a Government Accountability Office report found that National Guard units have the capabilities to support civil authorities in a cyber incident. However, the Department of Defense is not aware of units’ capabilities for support. In a letter written this year to Senator Joni Ernst of Iowa, who chairs the Emerging Threats and Capabilities Subcommittee, Admiral Mike Rogers confirmed that the National Guard is boosting its capabilities to protect against cyber threats and that the National Guard Bureau is responsible for tracking these abilities. Currently, the cyber expertise of the National Guard is not monitored by the Department of Defense (DoD). To better understand cyber support available in the Guard, Senator Ernst introduced the DOD Emergency Response Capabilities Database Enhancement Act of 2017 which would require DoD to track the National Guard’s cyber expertise in an already existing database. At this time, only the Guard’s abilities to respond to natural disasters and traditional terrorist attacks are kept on file. Cola is the world's most well known soft drink - and one of the greatest brands of any kind - with about 1.7 billion servings of cola products consumed every day. Although the drink is popular, and seemingly refreshing, its effects on your health may be serious and in many respects non-reversible. Read on to find out just what happens to your insides in the minutes after you've just enjoyed a guilty glass of coca-cola. One can of cola has about 10 teaspoons of sugar, 150 calories, 30-55 milligrams of caffeine and is loaded with harmful artificial flavors and coloring. The major culprit in the cola ingredient list, however, is high-fructose corn syrup, and we'll tell you why. High fructose corn syrup is derived from fructose, a cheaper sweetener made from corn. The harmful thing about fructose is not only its high sugar content, which has been linked with diabetes and several other liver problems, but its effect on your metabolic rate, meaning the pace at which you absorb and digest food. Over the past decade the Marine Corps has experienced a transformation in the way it enables command and control (C2) with tactical communications systems. More specifically, we have dramatically increased our use of beyond-line-of-sight (BLOS) satellite communications (SatCom) for MAGTF operations. Thus our reliance on spacebased assets for providing the necessary communications links has grown exponentially as a result of distributed operations in Iraq and Afghanistan. For the most part this has been a positive step for the Marine Corps and will continue to develop as time moves on. These expanded communications capabilities provide the necessary links to those who most need critical information across a widespread battlefield. In fact, the ability to conduct advanced operational concepts, such as enhanced company operations,1 centered in distributed battlespace, hinges on these types of communications. However, the advances we have enjoyed do pose a significant risk—a risk our adversaries are undoubtedly looking to exploit. Overreliance on SatCom can pose a significant threat to the Marine Corps, both operationally and tactically, if a broader and diverse communications perspective is not maintained.